- Built-in USB and RS232 to RS485 converter. - Built-in 5V power supply. - Built-in six digital power outputs with selectable pull-up/pull-down resistors. - Two analog input channels with low pass filter and amplifier. - Two analog output channels. 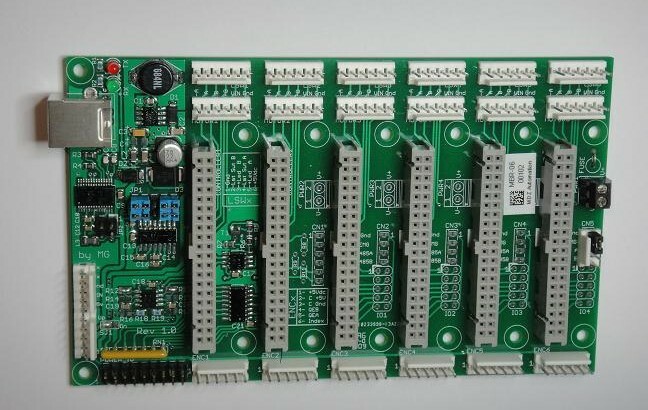 - Hold Six Stepper Motor Controllers. – Built-in USB and RS232 to RS485 converter. – Built-in 5V power supply. – Built-in six digital power outputs with selectable pull-up/pull-down resistors. – Two analog input channels with low pass filter and amplifier. – Two analog output channels. 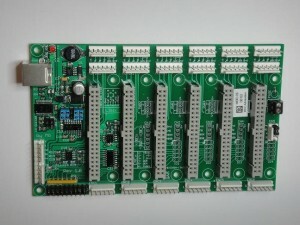 – Hold Six Stepper Motor Controllers.